Mohamed Nasheed, the former president of Maldives, has been granted political refugee status by Britain on 23 May. 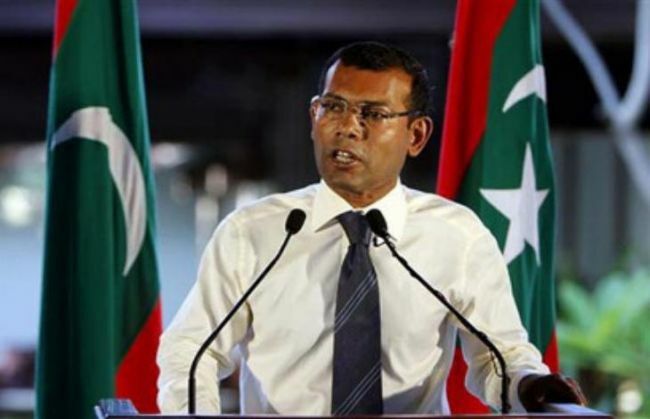 Nasheed, who was the island nation's first democratically-elected president, was allowed to go to Britain in January for medical treatment after President Abdulla Yameen came under international pressure to let him leave, reported The Independent. A British High Commission official in the Sri Lankan capital Colombo said it did not comment on individual asylum cases. Nasheed was sentenced to 13 years over charges of terrorism for illegally ordering the arrest of a judge in a trial. The United Nations, the United States and human rights groups have said Yameen's government failed to follow due process and that the case was politically motivated. Yameen, whose half-brother lost power to Nasheed in 2008, has rejected accusations that Nasheed's trial was politically motivated and said the legal process was fair. Since his release, Nasheed has called for sanctions against Yameen and his allies for detaining political prisoners, mainly opposition leaders, and for alleged human rights abuses in the Maldives. In 2009, Nasheed led the world's first underwater cabinet meeting to grab attention over rising sea levels that threaten his country. Did Smriti Irani (sort of) apologise for lashing out at Priyanka Chaturvedi? READ NEXT >> Did Smriti Irani (sort of) apologise for lashing out at Priyanka Chaturvedi?